Why do I think Tyler Perry and Bishop T. D. Jakes matter? In my view it is not because of their fame, power, wealth, position, or status but rather because of the way in which they achieved their success and influence: humility. 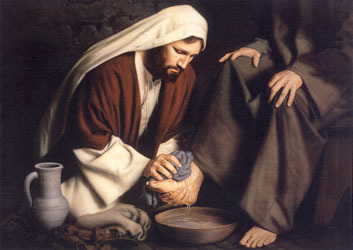 Jesus said, “And whoever exalts himself will be humbled, and he who humbles himself will be exalted” (Matthew 23:12). I argue that lessons learned in humility as a Christian virtue are extremely important when attempting to measure success and influence in individual achievement. This may however be extremely difficult (if not impossible) for a secular world to do since both men clearly credit God as the reason for their success. Perry and Jakes life stories and lived experiences have been well documented in the media, magazines, books, on stage, during interviews, and in major newspapers worldwide. Major film actors like Janet Jackson, Whoopi Goldberg, Thandie Newton, Idris Elba, Kimberly Elise, Kerry Washington, Lance Gross, Jennifer Hudson, Whitney Houston, Jordan Sparks, Laz Alonso, to name just a few, have starred in one or more of Tyler Perry’s or Bishop T. D. Jakes’ productions. Movie critics however, don’t all agree to whether or not their movies would be considered major or mainstream successes by Hollywood standards. However, thanks to a strong and loyal African American following—and the Black Church—many of their films have been box office successes that have grossed millions of dollars. Arguably, they are two of the nation’s most successful black film producers, authors, playwrights, entertainers, preacher, teacher, and motivators in the world today. Whether or not one may like/dislike or agree/disagree with their films content, books, ministry, or other successful works will not change the reality of their dominant presence in film, entertainment, and entrepreneurship. They are creative geniuses at what they do. That doesn’t take anything away from other great African American filmmakers and producers of different genres—past or present. However, Perry and Jakes are unapologetically Christian and they have brought their message into millions of homes and theaters in an artistic, entertaining and nonthreatening way. We are called to influence the world with the gospel, which means as believers we should be strategically positioned in every dimension. Every area of human enterprise should be exposed to a kingdom enterprise in every situation. I believe we are all on a kingdom assignment and God has ordained that we influence the world as Jesus commanded (i.e., “salt and light,” see Matthew 5:13-16). For this reason we all matter. Granted, without many of the aforementioned opportunities and doors opened to them, Perry and Jakes’ influence would most likely be like many of the rest of us. That isn’t a bad thing; on the contrary. It just means their audiences would be smaller. Tyler Perry and Bishop T. D. Jakes both have been given an awesome platform and voice to change the way we see our world, and the way the world sees us as African Americans and Christians, particularly in mainstream films. The stereotypical films of the 60’s through the 80’s largely depicted African-Americans as pimps, prostitutes, poor, uneducated, violent, in prison or a gang, living in the projects or ghetto. They matter because they have power to change and influence popular culture’s perception of African Americans—and Christians. Some critics say that the “blaxploitation films” of the 1970’s and the ‘hood’ films of the 90’s were “keeping it real” about black life in America. However, others objected and argued that while many of these films were trailblazers in black filmmaking they were only telling part of the African American story. Tyler Perry and Bishop T. D. Jakes have attempted to show another side of African-American life that focuses on marriage and family unity, positive male role models, education, faith and religious life, and women who are empowered. Criticism, intrinsically, is in itself not wrong as long as it is positive (valid), and one’s motive is to help a person improve, encourage, lift up, and value the individual. However, negative (unjustified) criticism seeks to make the critic appear superior to the person he or she is criticizing in ways that are often demeaning and judgmental; such criticism is often motivated by envy, jealousy, and dislike of the individual. “If the critic says something that challenges my approach, then I ingest, digest and appropriate it. If I sense that the critic is just being critical or cynical or narrow minded, I disregard it. I focus on what I’ve been called to do. I feel like Nehemiah, that as a leader when you’re doing a great work you can’t come down. But if you’ve been misunderstood and you can give clarity, then do so and move on. Some people use the issue to attack you rather than to attack the issue that bothers them. They choose to attack an individual rather than an idea. The difference to me between constructive and destructive criticism is those people that attack the individual at the expense of their idea rather than to talk to the individual like “you’re my brother and I love you, but what do you think about this idea?” Speaking the truth in love is a dying art. Because people can be just as vicious as they want to be on social media and feel safe to let their true selves out, you have to develop a thick skin to that. I’ve learned to do that, I’m very comfortable with that, it doesn’t bother me at all. Everybody has critics. The bigger your platform, the more critics you’re going to have. More means more. You can’t have more of this and not have more of that. You’re going to have more of everything if you get into the realm of more” (The Christian Post, July25, 2013). 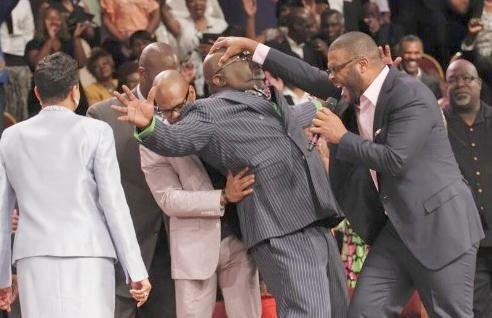 After I saw the video clip of Tyler Perry blessing Bishop T. D. Jakes and contributing $1 million to the Potter’s House Youth Center during a service at The Potter’s House (Sept. 3), I knew the comments, opinions, and criticisms would immediately follow. Most of the articles I read in Christian and secular magazines, news clips, blogs, and comments on social media were biased, will towards both men. There were a few positive comments and articles, which not surprisingly came from longtime ardent supporters of Perry and Jakes. We are most comfortable with secular wealth rather than with wealth derived through the church or religious enterprises. It seems more palatable and easier for us to digest philanthropic giving from people like Oprah Winfrey, Bill Gates, Mark Zuckerberg, or other secular philanthropists who may give away millions of dollars to a need, charity, or foundation. However, we tend to judge and feel suspicious towards anyone that believes—Christians in particular—God has spoken to them to give a million dollars to a faith-based cause. Much of our misunderstanding of Christian wealth comes from unhealthy representatives of the gospel in the media, like “Oxygen’s Preachers of LA” reality show. Unfortunately some preach and teach (in error) a faulty “gospel of prosperity” above the centrality of Jesus Christ and the message of salvation. Our association with the church and its work has its focused and foundation on the needs of the poor and needy, never with Christians hoarding wealth. However, a careful reading and understanding of the Scriptures will show and prove that God has the wealthy and the needy in his Church. They actually coexisted with one another (see Matthew 19:21 and 26:11). In no way am I trying to defend Bishop Jakes or Tyler Perry. They have enough power, people, and position to take care of them. They certainly don’t need my rocking chair theological opinion or perspective to validate their gifting, authority or anointing. As a matter of fact, very rarely do I ever hear of or read anything about them responding to many of the public attacks and criticisms launched at them. What would be the point? I’m sure they are use to people disagreeing and criticizing them from every corner and sector of life—Christian and non-Christian alike. It goes along with the territory of being well-known, rich and famous. I don’t envy their positions and wouldn’t want to live under the kind of public microscope where you are judged for everything you do (or don’t do) and say (or don’t say). I’ve never met Bishop T. D. Jakes or Tyler Perry personally and highly doubt that I ever will (however, I did have the occasion to greet Bishop Jakes at a pastor’s conference when he first starting out in Charleston, West Virginia in 1995). I will never stand in a line to ask for their autograph or take a photo with them but I do respect the gifts God has given them. I am not a fan or follower of men but I believe in giving respect and honor to who honor is due. To the best of my knowledge neither one have dishonored the name of my Savior. 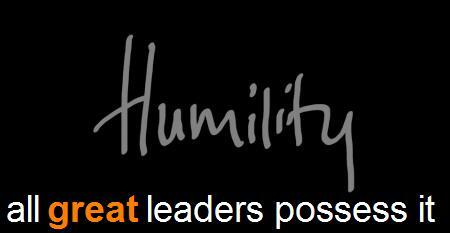 They have demonstrated humility and an ethic of care more often than their critics give them credit. They have shown that it is more blessed to give than to receive. Granted there are a few larger theological questions that concern me and that must be asked. Intellectuals and philosophers like Myisha Perry, Adjunct Philosophy Professor, CUNY and LIU, give us much to consider in her thought provoking article, “10 Thoughts on Tyler Perry and Bishop Jakes, Evangelicals, and Money.” One point she makes in particular is worth considering: “If you are a giver, there is no need to announce it. Just as it is the case that when you are humble, there is no need to announce it,” she states (Huffington Post, “Black Voices,” “The Blog,” October 9, 2013). Jesus makes this point about giving in Matthew chapter 6 (vss. 1-4). Would I have preferred Mr. Perry to make his contribution in private? Yes, but, hey! It ain’t my money! I asked myself what I would do if someone gave me a million dollars. Well, I had an epiphany recently. An unknown contributor made a contribution of $1000 by mail to our church. I gave thanks over that $1000 gift like it was $1 million. I also made comment about it during our worship service. Then I started to lean back imitating Bishop Jakes in the video but quickly realized there was no one there to catch me. There was a quick change in plans. Blessings come through humility, obedience, and sacrifice. I have learned to be humble and thankful over the small things in preparation to receive greater (see also Matthew 25:21-23).